Tricks, Treats, Frights & Freaks: Happy Halloween from ABG! Happy Halloween! 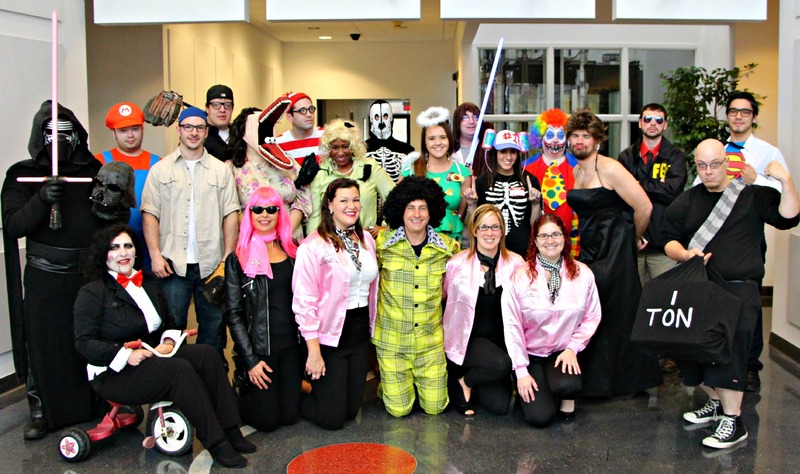 We have a quick post for you today to show you how we put our creative minds together to come up with funny, scary, interesting, and downright odd costumes for our annual office Halloween party. And yes, we took our own advice from last week and made sure that all of these costumes were safe for work—it’s Friday, almost a holiday weekend, and none of us is trying to have a meeting with HR today!